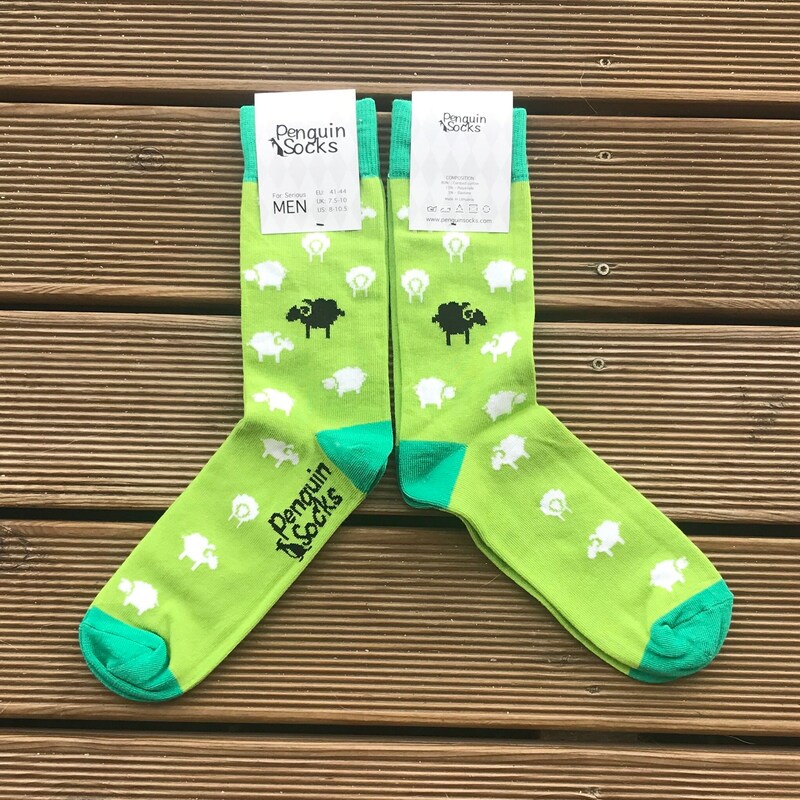 Liked our Funny Socks for men? 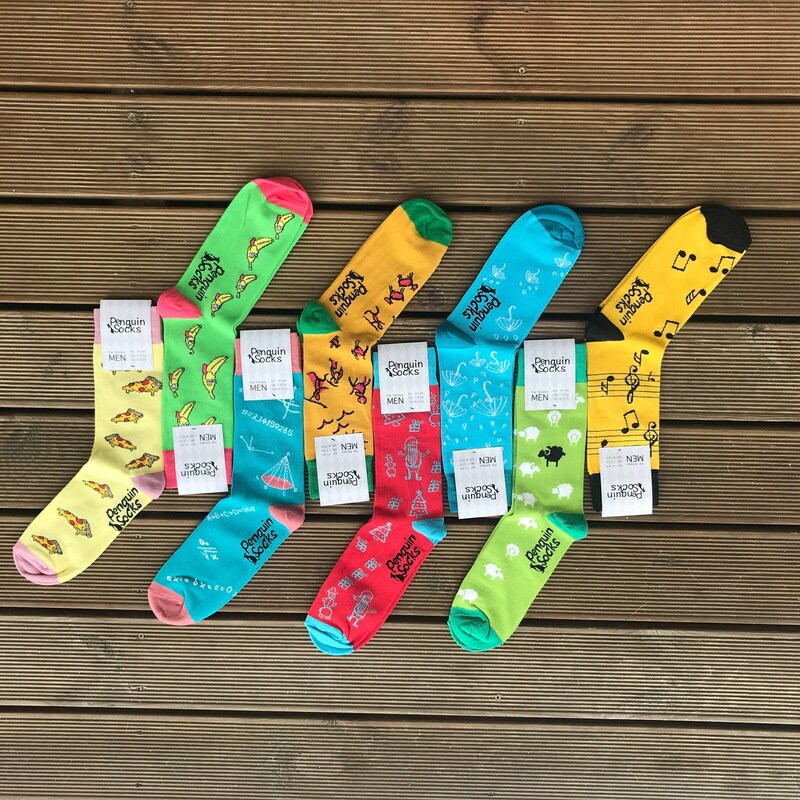 Difficult to to pick one pair? 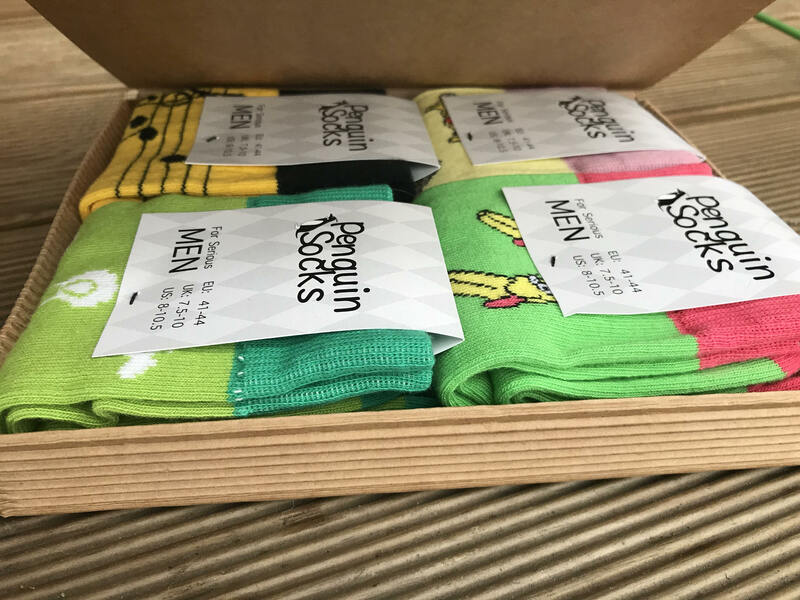 You can order novelty socks box (four pack) that will include four Crazy socks from our Men collection. 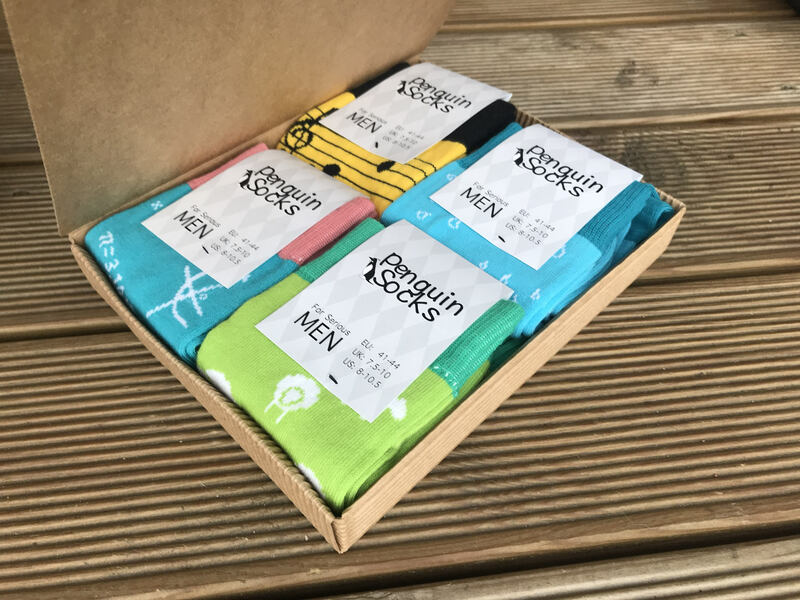 It will be just perfect socks gift box for him. 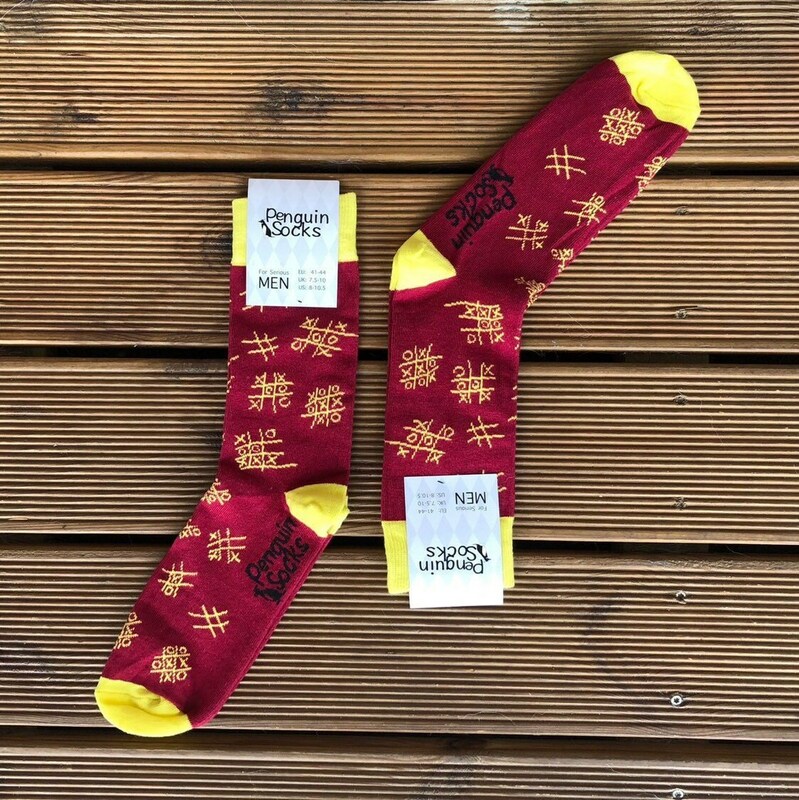 SELECT 2 PAIRS OF SOCKS BY YOUR SELF AND LET US SELECT OTHER 2 FOR YOUR! 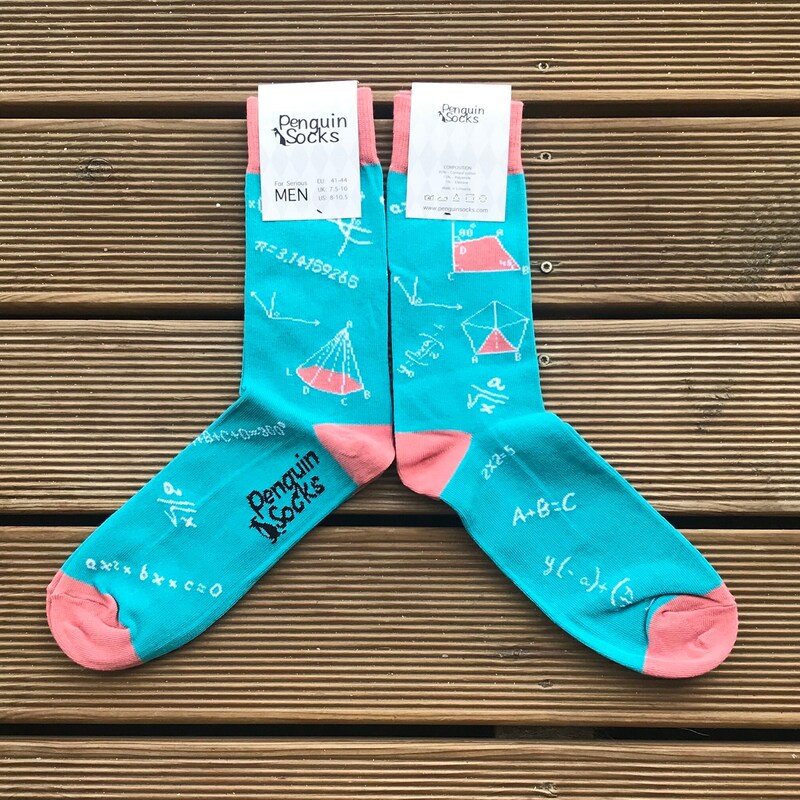 We will put you random socks from our collection, but of course - it would not be same socks you selected. 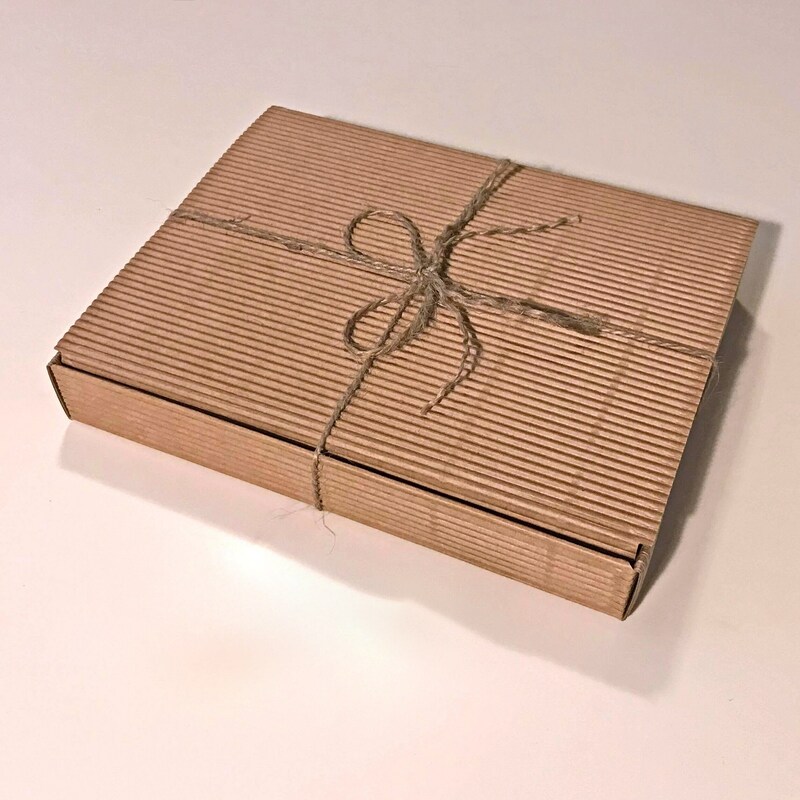 The socks will be packed in a brown and simple, ecological box. 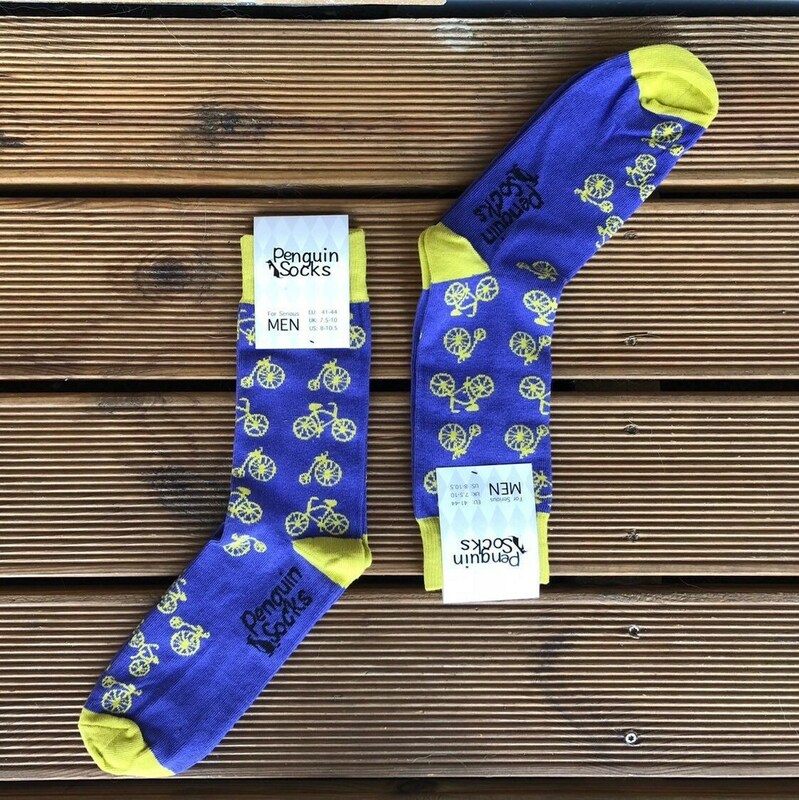 All our colorful socks are perfect for all men, regardless of whether they are teens, young adults or middle age. 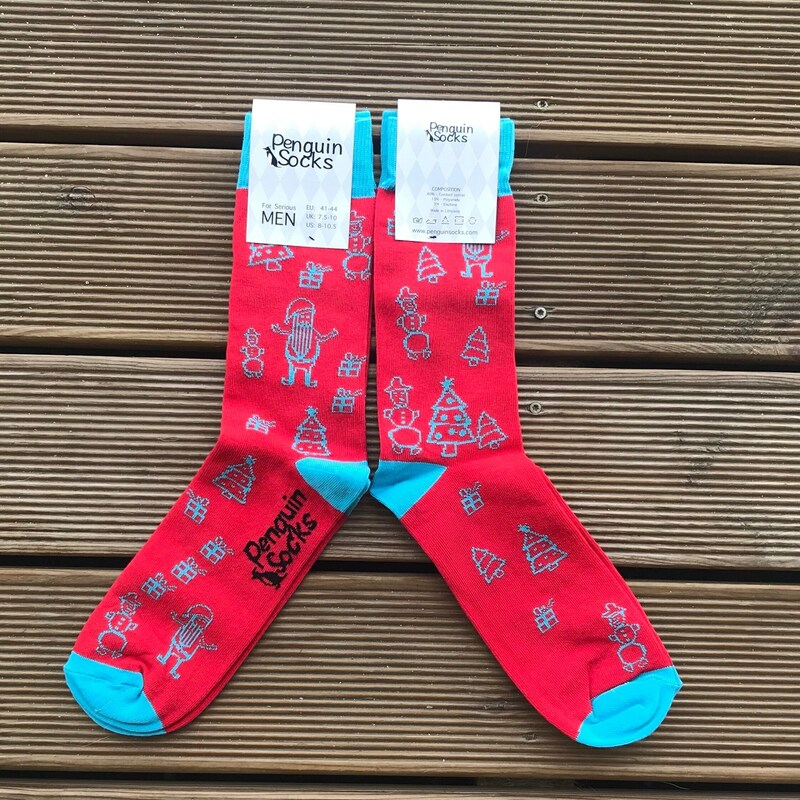 These Novelty socks can be nicely used as a part of daily outfit. 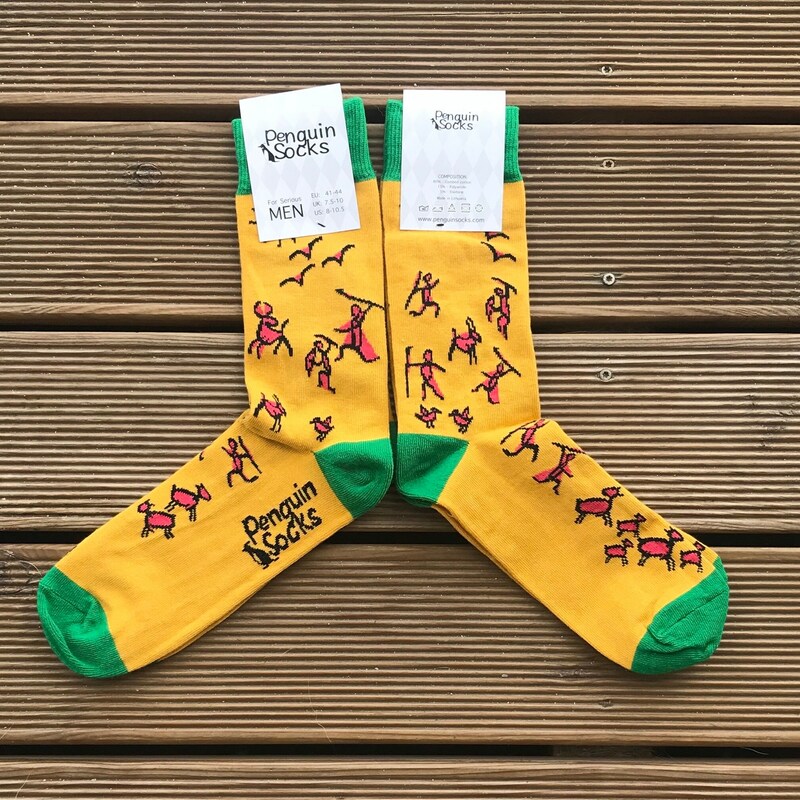 And it goes without saying, that brave men, who want to be recognised, can combine colorful and great socks with their suits.